Design and Control of RF Power Amplifiers investigates various architectures and concepts for the design and control of radio-frequency (RF) power amplifiers. This book covers merits and challenges of integrating RF power amplifiers in various technologies, and introduces a number of RF power amplifier performance metrics. It provides a thorough review of various power amplifier topologies, followed by a description of approaches and architectures for the control and linearization of these amplifiers. 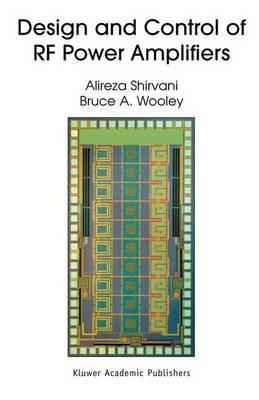 A novel parallel amplifier architecture introduced in this book offers a breakthrough solution to enhancing efficiency in systems using power control. Design and Control of RF Power Amplifiers is a valuable resource for designers, researchers and students in the field of RF integrated circuit design. Detailed and thorough coverage of various concepts in RF power amplifier design makes this book an invaluable guide for both beginners and professionals.